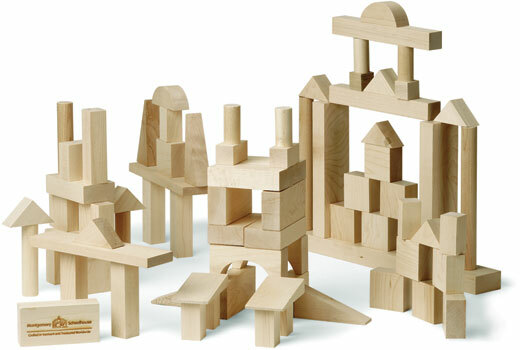 Twenty years ago when we saw these blocks, we immediately fell in love. What a wonderful way to inspire your children to create! Architectural blocks enable them to build complex buildings with arches, ramps, pediments and columns. 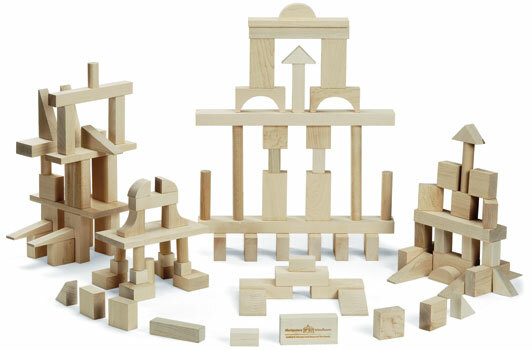 Their classic simplicity appeals to the youngest boy, while their elegant building elements will keep even a budding engineer happy for years beyond the ordinary set of blocks. In our opinion, this is a must have for every family – and a lifetime investment. Those blocks we bought twenty years ago? They’re still around. Someone built Bethlehem with them at Christmas. Crafted in the United States from local, sustainably-harvested maple with no finish to be concerned about. This collection of sustainably-harvested maple hardwood blocks contains contains 41 pieces in 11 different shapes. The base block unit is 1″ and each dimension of all blocks is a multiple of 1″ so blocks can be stacked cleanly and uniformly. Each set comes in a sturdy box for storage. Crafted in the United States from maple hardwood, the Advanced Collection of Architectural Blocks contains 78 pieces in 17 different shapes. The base block unit is 1″ and each dimension of all blocks is a multiple of 1″ so blocks can be stacked cleanly and uniformly. Each set comes in a sturdy box for storage. 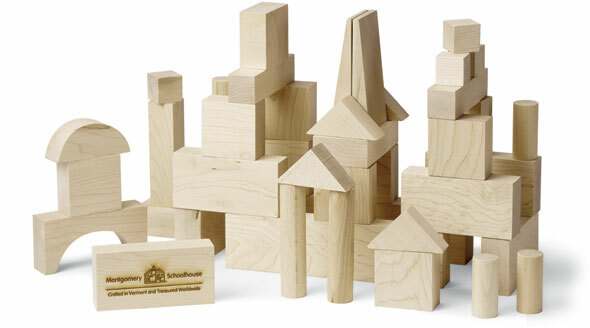 Crafted in the United States from locally sourced, sustainably harvested maple hardwood, the Master Collection of Architectural Blocks contains 104 pieces in 21 different shapes. The base block unit is 1″ and each dimension of all blocks is a multiple of 1″ so blocks can be stacked cleanly and uniformly. Each set comes in a sturdy box for storage. Please Add Shipping Below, or I’ll send you an invoice (The code to automatically add it isn’t working today, of course! Thanks for understanding!) MASTER COLLECTION SHIPS FREE!